The world of iPad games has both kids and their family optometrists smiling with the release of a new hand-eye coordination game. 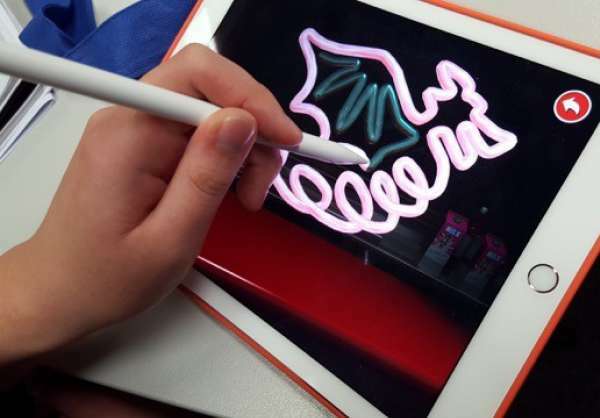 Programmed to detect developmental disorders in children or in the aftermath of brain trauma in adults, the L-R Eye-Hand Coordination App challenges users to trace colourful shapes with a stylus pen. Created by University of New South Wales optometrists, the $1.99 iPad app automatically records the time taken to complete each shape and the number of tracing errors, providing a less expensive yet more objective testing option for optometrists and other health professionals than those currently available. Hand-eye coordination is vital to many aspects of life, especially for writing and positioning objects carefully. Researchers have linked hand-eye coordination to learning, cognitive, and social abilities. Hand-eye coordination involves using the eyes to lead and direct the movement of the hands. Practicing hand-eye coordination exercises can benefit anyone wanting to strengthen their reactions to sudden movements. The app replaces traditional methods of testing eye-hand coordination, such as placing pegs in holes or threading beads, which are repetitive and unengaging. These methods also result in subjective assessments by those conducting the tests. For instance, a traditional objective test, which uses cameras to monitor hand movements, comes with a high price tag. The app focuses on coordination of fine motor movements of the fingers and hand, and is expected to be useful for optometrists. Specifically, optometrists working with children and in the areas of sports vision, rehabilitation, and neuro-optometry, as well as ophthalmologists, orthoptists, pediatricians, neurologists, psychologists, rehabilitation specialists, and remedial educationalists. Updates to the app will include increased levels of performance and further reporting capabilities. If you’d like to try your hand, download the app here.